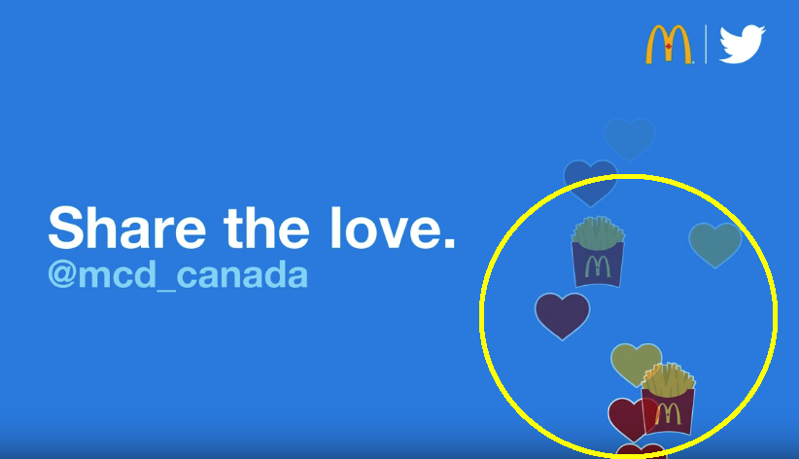 My McD’s for iOS, the official app of McDonald’s Canada was updated yesterday with a brand new design. The cleaner layout is supposed to make viewing offers and the menu much easier. The new design may also help users get ready for mobile order and pay, slated to come to Canada in 2017. 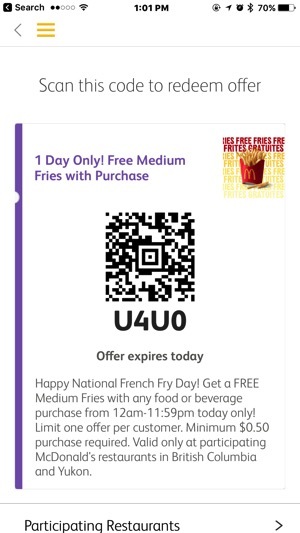 For National French Fry Day, which is today, users can redeem an offer which gives free medium fries with any food or beverage purchase (minimum $0.50 purchase required). 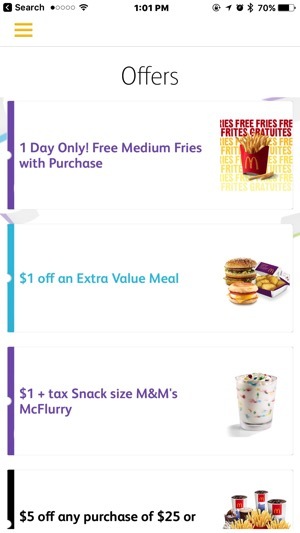 Click here to download My McD’s for iPhone in the App Store.